Meet our resident ‘Social Butterfly,' Daniella Kozcur. Daniella has been spreading the miniature word since joining the team at Our Home & Miniature Land in October 2016. She creates and curates our online content and manages our social media platforms. Daniella’s social savvy and love of photography has allowed her to create fun and interesting miniature stories, inspired by Canada, through perfectly timed photos and captions. Daniella has a flair for creating miniature messages that offer a fascinating peek into the miniature Canada we are building. Daniella has a strong background in social media having created herself quite a presence. 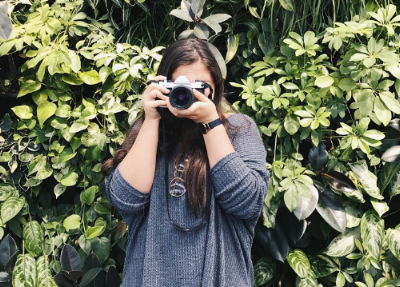 With almost 20 thousand followers on Instagram, Daniella has found a way to communicate with her audience through photographs while quickly growing her following along the way. Daniella loves to travel and explore new places both within Canada and around the world. She’s also a big fan of really cheesy movies, dramatic teen romance novels, and HGTV. ByWard Market: Experience it in mini!